The Warhammer creator's profits are down by about 3.4 million British pounds compared to last year. 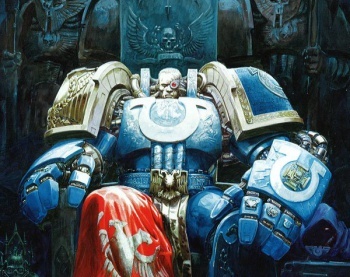 Games Workshop, producer of the Warhammer and Warhammer 40,000 line of war game miniatures, reported a 24 percent decrease in their stock value yesterday following a profit loss of several million British pounds. According to the half year financial report published on their website yesterday, Games Workshop's revenue for the six months leading up to Dec. 1, 2013, was 60.5 million in pounds, with a pre-tax profit of 7.7 million. The same report for Dec. 1, 2012, reported a revenue of 67.5 million pounds with a pre-tax profit of 11.1 million. As of Thursday, shares in Games Workshop were going for 548 British pence, or roughly $9 American. According to their report, Games Workshop's reduced margins were the result of "the rapid transition from multi-man stores to one-man stores and the reduction of trading hours across the Group." In layman speak, this most likely means that their market is shrinking and they've had to lay off employees at their specialty Games Workshop stores. Games Workshop views this as a short-term issue and expects to see growth again with their one man model for their stores. During the six month period of the most recent report, 27 new stores opened and 20 closed. While the company has enough resources to last it for the foreseeable future, Games Workshop still expects their profit to remain under pressure during this time of restructuring.